The ancient Greeks founded the Olympic Games on a belief in freedom, which was sustained by a deep respect for personal honour, and nurtured by a love for action. Public honour and private honour were intimately related and a man owed it to himself to display his best qualities and be recognised for them. Pierre de Coubertin in 1984 reinvigorated the ancient Olympic Games on an international scale, the first games of the modern era being held in 1896. He noted the most important thing about the Olympic Games was not winning but taking part; the essential thing in life was not conquering but fighting well. 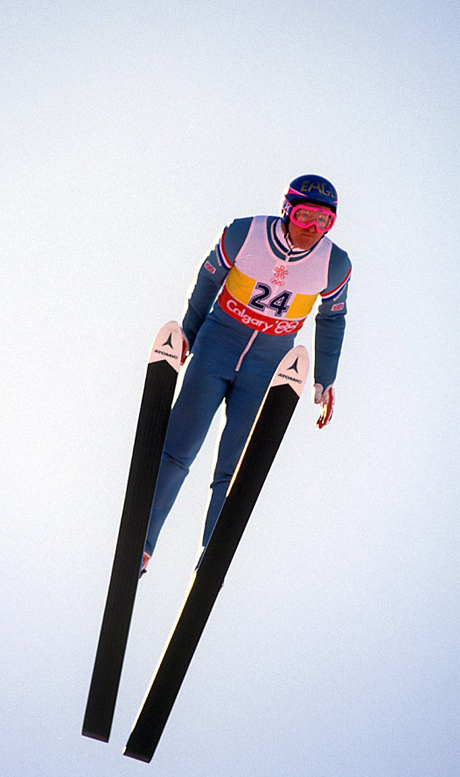 Eddie ‘The Eagle’ Edwards Britain’s first Olympic ski jumper fulfilled both the ancient and modern requirements of an Olympian when he competed at The Winter Olympics in Calgary, Canada in 1988. 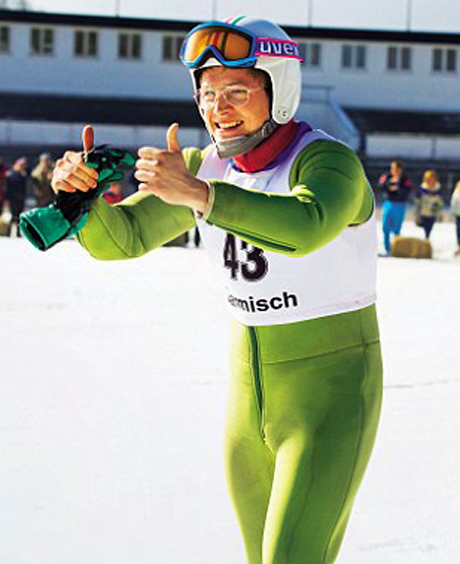 His story is told in Eddie the Eagle, a wonderfully endearing movie with a moral, one that is everlasting about a man who fails in competition, but wins in so many other ways. Belittled by ‘team mates’ he soars higher than our hearts will go, conquering the 90 metre ski jump at the Olympics on the very first time he attempts to fly so high. When Eddie achieves this feat he has only been jumping for a short time, while his rivals have been training since they were toddlers. He becomes an instant celebrity, carried forward on the symbolic shoulders of the crowds who cheer on this British boy who on a shoestring budget and without a wealthy sponsor gives it a go. As he soars down the slope and sails through the air the British broadcaster is hoping against hope he will be able to say ‘the Eagle has landed’. It’s a very special moment. Welsh actor Taron Egerton, who won hearts and the Empire Award for Best Male Newcomer with his role in Kingsman: The Secret Service has teamed up again with the same producers to bring the feel-good story about Eddie the Eagle to the silver screen, inspired by true events. 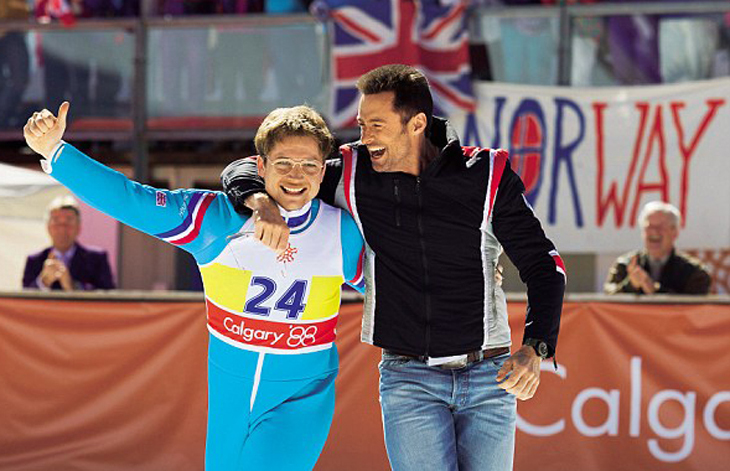 Also starring Australian actor Hugh Jackman and directed by Dexter Fletcher, Eddie the Eagle has landed in Australian cinemas and is being acclaimed as the ‘feel good movie of the year’. Must say I heartily concur; a rare gem, deserving of a gold medal, this is a film guaranteed to make you smile and perhaps even shed a tear or two. Eddie is a boy from the spa town of Cheltenham in England in the natural beauty of the Cotswolds in Gloucestershire. Naïve and single minded he embraces the values of the ancient Greek hero Ulysses (Odysseus), to strive, to seek, to find, and not to yield. What a delight Taron Egerton is. 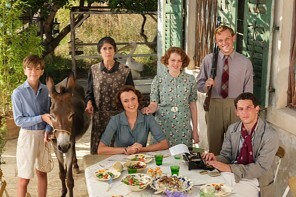 He plays the delicious underdog Eddie with just the right amount of comedic charm balanced well with serious intent. Wearing callipers on his legs to help him with a problem with his knees as a young boy means Eddie cannot take place in local sport and it is only when he finally is allowed to leave them off as a teenager, that he can actively start training to become an Olympian – and fulfil his dream. Eddie is a young man with a dash of derring do, who never stops believing, despite everyone around him wanting him to give up, especially his Dad. He keeps trying to get his son to come down to earth and embrace his father’s trade of plastering. His Mum however wants her only son to follow his heart, despite the objections of the stuck up members of the British Olympic Association. They find her son to be a ‘joke’; despite having won many local cups he is a qualifier for consideration on the downhill skiing Olympic team. The reality is he is a working class lad competing against a posh Olympic elite in Britain, at a time when it would never do. He could not know how hard they would all do their best to keep him out. Not that there has ever been one before. Clearly with Eddie in their sights, they plan to stop him dead in his tracks by setting the standard at 61 metres, which must be achieved on a 70-metre high jump. However they fail big time as he confounds himself and everyone else by achieving that goal and surpassing it, including his ‘coach’. 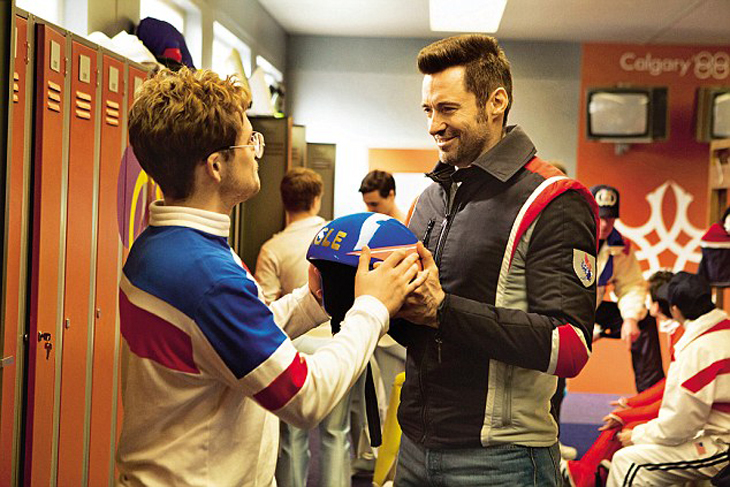 Hugh Jackman plays Bronson Peary, Eddie’s trainer who never was. A fictional character, Jackman provides a great foil for his young co-star and together they work to become a force to be reckoned with. Bronson’s back-story includes him being a brilliant natural talent who disappointed his famous coach Warren Sharp played by Christopher Walken. He threw over all his chances and has just eked out his living around the ski slopes ever since, that is until he meets Eddie who offers him a way back from oblivion too. Glad to see Jackman in a role as a mortal man, instead of a superhero, one we can really believe in. He’s excellent. Interestingly Egerton was only born in 1989, the year after the real Eddie the Eagle with sheer determination and by having the courage of his convictions and a true love of sport, redefined what a true Olympic Hero is meant to be. Taron Egerton certainly has an exciting career ahead of him, he’s a seriously talented young actor sure to be in demand after this, which is very different to his previous roles to date, all of which won him many admirers including the stunning Testament of Youth. Eddie the Eagle was a perfect holiday weekend movie, I just loved everything about it and came home smiling. Can’t get any better than that. For the best in class, Noma is the number one place to eat at right now in the world. 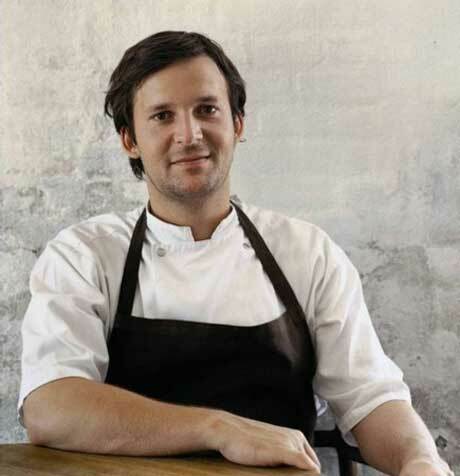 The Australian Masterchef 2011 judges confirmed this to their Australia wide audience during the grand finale as Noma’s Celebrity Chef Rene Redzepi set the task for Kate and Michael to complete. Imagine tickets for a tour in Scandinavia will book out, which is a good thing for Europe in the current economic milieu.